Reilly Ridgell graduated from Palisades High School (LA) in 1965, got his BA in political science from UCLA in 1969, and an MA in the same field from UC Santa Barbara in 1970. In 1971, he joined the Peace Corps, teaching English in the outer islands of what is now called Chuuk State in Micronesia. After his Peace Corps service and a teaching contract, he left Chuuk in 1975 to teach in Guam. In 1980, he became an assistant professor at Guam Community College and in 2001 moved into administration as Dean. He is the author of the widely used textbook, Pacific Nations and Territories, which has been in print continuously since 1983, and co-author of its elementary level version, Pacific Neighbors. 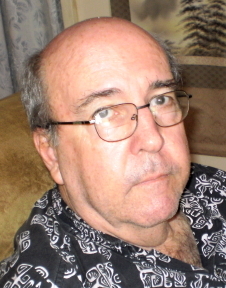 He also authored the anthology of Micronesian Peace Corps stories, Bending to the Trade Winds, and in 2010 his first novel, Green Pearl Odyssey, was published by Blue Ocean Press.